The Independent – UK – They came to ease their World Cup hangovers at a ground where England are usually invincible but all a packed out Nottingham crowd got was an indication that there may well be more heartbreak on a different global stage next summer. Virat Kohli’s team were inspired by a career-best bowling performance from left-arm wrist-spinner Kuldeep Yadav, who took six for 25 in his 10 overs to restrict the hosts to 268 batting first, and an unbeaten 137 from a batsman in Rohit Sharma who is in supreme touch right now. On a ground where Morgan’s team hit an ODI-record 481 for six against Australia last month, England’s total never looked enough and India were on another level entirely as they chased down their target with 59 balls to spare. (Getty Images) Kuldeep, as a left-arm wrist-spinner, is a rare phenomenon, so rare in fact that Joe Root, in six years playing for England, has never encountered one before. Root was one of five wickets for Kuldeep in Manchester but after bettering that haul here, the 23-year-old looks certain to be named in India’s squad for the upcoming five-Test series against England that starts at Edgbaston on August 1. 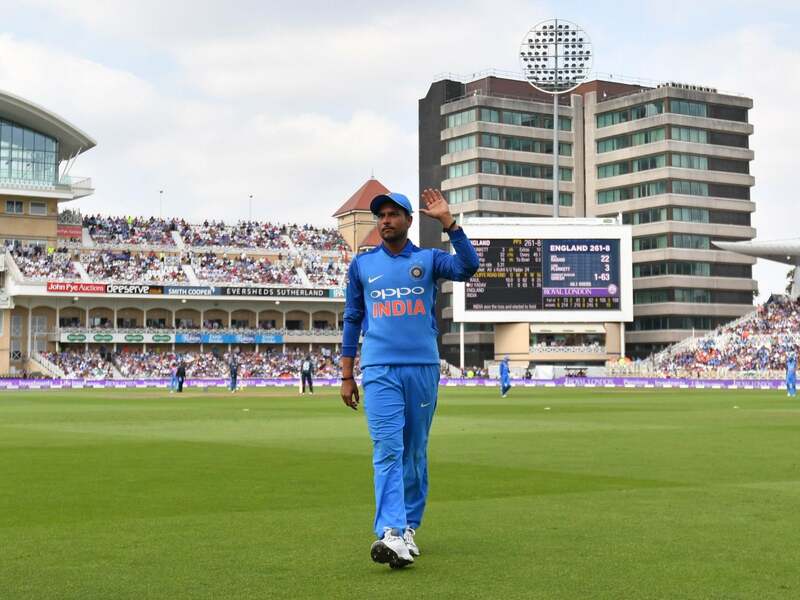 (PA) But he was not alone in his struggles against Kuldeep here, the spinner putting the brakes on England’s decent start, which saw them reach 71 without loss after ten overs, to strike with just his second ball of the match when Jason Roy reverse swept him to cover.